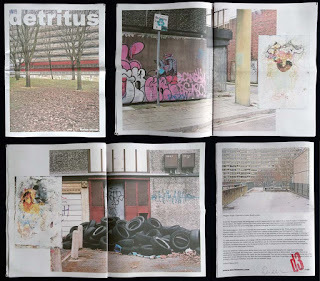 "Issue three returns to the Heygate Esatae in South Esat London, a site that seems precariously perched between deterioration and complete disappearance. This issue contains photographs of the architecture and fabric of the buildings as well as found images from the estate. 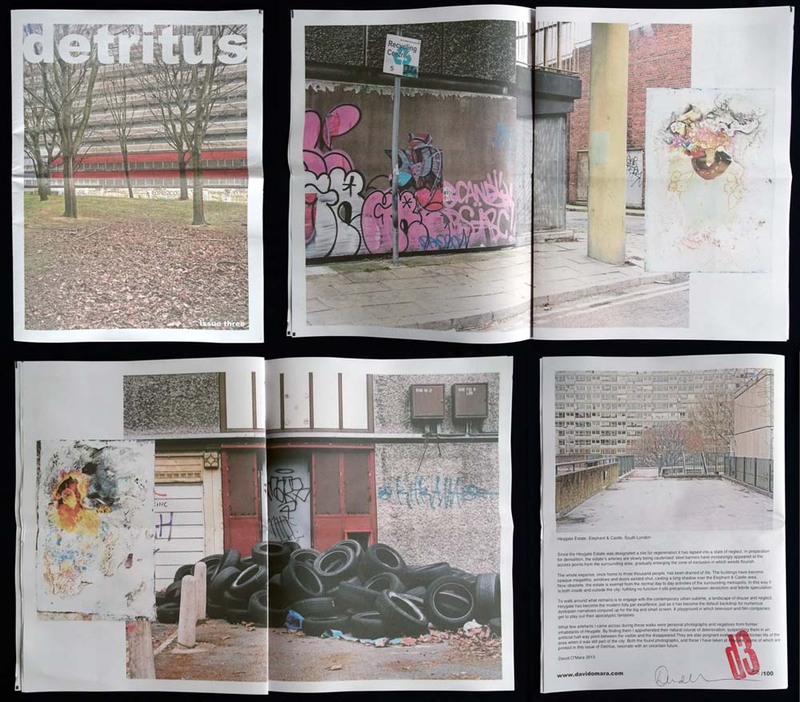 Issue three attempts to broaden the themes contained in the first issue of Detritus at a pivotal time in the history of social housing."